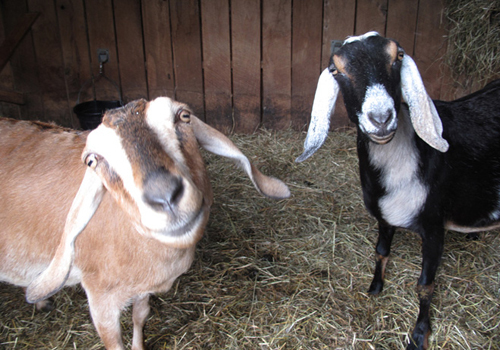 Okay, this post is largely an excuse to share an irresistible picture of two goats. It is also an opportunity to share with you a beautiful new website Hudsonmadeny.com featuring artisan-made products from the New York area. There are gorgeous items such as copper flasks, flame-blackened ladles, our letterpress tags, cards and books and black soap made from the milk of the adorable pasture-raised Nubian goats pictured above. With the holiday season approaching, this is a great site to check out and a nice way to support people who make things with their hands.